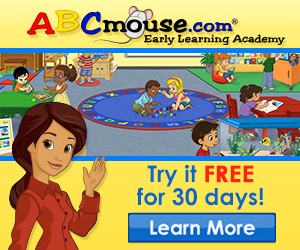 Home / Freebies / Free Stuff Online / Free Trial of ABCmouse for 30 Days! Free Trial of ABCmouse for 30 Days! I get lots of readers that LOVE this and right now, for 30 days, you can get a Free Trial of ABCmouse! ABCMouse.com has some awesome educational games for kids 2-6 online with a full online curriculum for preschool through kindergarten! Whether you have a preschooler at home or a child in elementary school who needs a little extra push, this program is very popular with great reviews! Give it a try while you can with this Free Trial of ABCmouse today! See X-Men Days of Future Past, Courtesy of AXE!